At Rosedale House, we understand that our wedding parties want to take time to plan their perfect day and that part of that process is to budget for your special day. That’s way we have created a price guide. 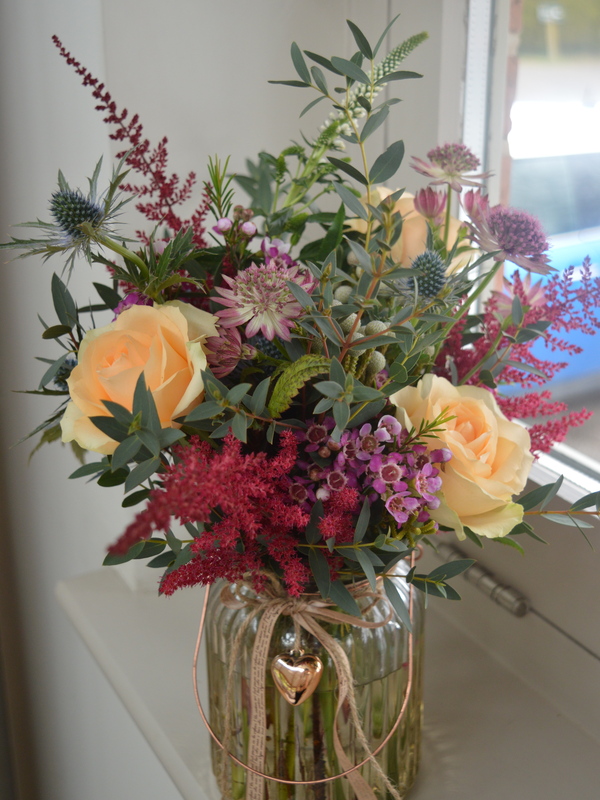 Below you will see a price guide for Lincolnshire Wedding Flowers. All our bridal packages are bespoke and tailored to the bride and grooms style and budget. We provide these prices as a guide and can vary due to season, individual requirements and the availability of some flowers. Fresh flowers enhance your wedding in every way but the floral accessory that your guests will remember is the bridal bouquet. It is tradition for the bride and bridesmaids to carry flowers during the wedding ceremony. Shower bouquet – prices from around £120 – A bouquet of flowers and foliage that flows down from the holder, full at the top, trailing down into a teardrop shape. Usually this style is carried by the bride, although smaller versions can be carried by bridesmaids. 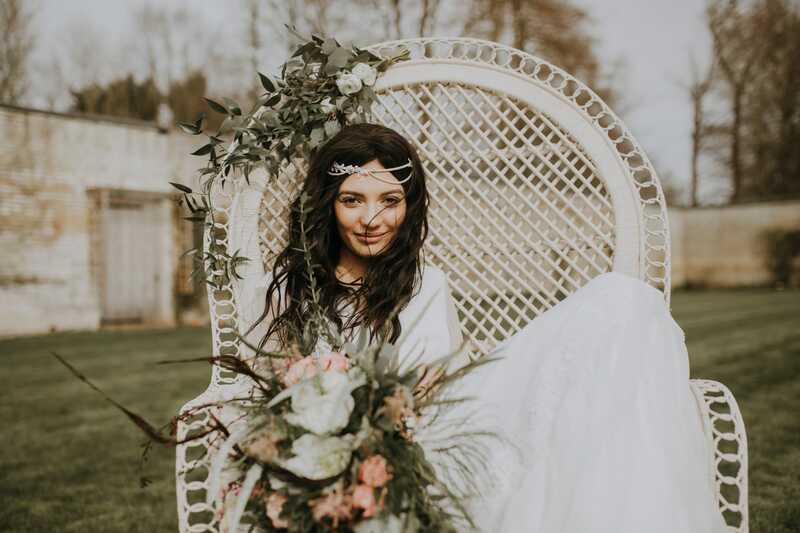 Hand-tied bouquet – prices from around £65 – Very popular with modern brides, this style has a natural feel that suits todays understated wedding fashion. Pomanders – prices from around £45 – A ball of flowers and foliage arranged into a globe shape ball that is suspended from a looped ribbon. Usually carried by a younger bridesmaid. Basket – prices from around £35 – Flowers arranged into a basket with handle. Usually carried by a younger bridesmaid. Hoop – prices from around £35 – This design comprises of a hoop having flowers interwoven around the hoop or 3 – 5 corsages attached at intervals. Usually carried by a younger bridesmaid. Flowers can be used to decorate the hair of the bride and bridesmaids. Circlet – Prices from around £25 – A head-dress made in a circular design to fit the circumference of the head. Alice Band – Prices from around £20 – A head-dress designed to be worn high on the forehead and from ear-to-ear. Hair comb – Prices from around £12.50 – A corsage style head-dress attached to a hair comb. Buttonholes or corsages are traditionally given to immediate family, some couples also like to give each of their guests a flower as a symbol of their love and friendship. Buttonholes – Prices from around £9.00 – A selection of flowers and foliage assembled and pinned to the left of the groomsmen’ jackets. Corsage – Price from around £12.50 – A selection of flowers and foliage assembled and pinned to the left chest. Corsages are usually worn by women. These are slightly larger but lighter in appearance and worn by close family of the Bride and Groom. 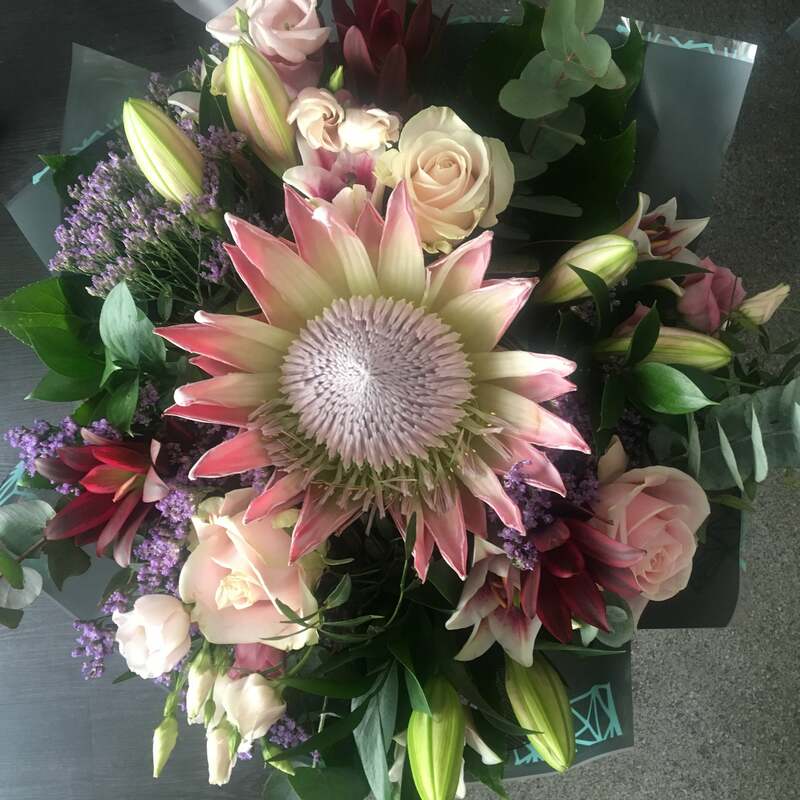 We work with our Brides and Bridegrooms to ensure that they are able to maximise the visual placement of flowers between ceremony and at your wedding reception. This prices below are just a guide. Pedestal arrangements are usually placed at an entrance, top of the isle or either side of where the Bride and Groom make their vows. These floral designs are usually statement pieces which match the theme and designs of all wedding flowers. Prices start from £120 plus the hire of the pedestal stand. Window arrangements vary from church-to-church and venue-to-venue, depending on size and design. Floral table centre designs, add style and charm to all wedding venues, from low floral displays for intermit and romantic settings to tall and extravagant designs drawing the eye and adding impact to a grand hall. We have a range of vases to select from, candelabras, mirrors and floral stands that can be hired when we provide your flowers. 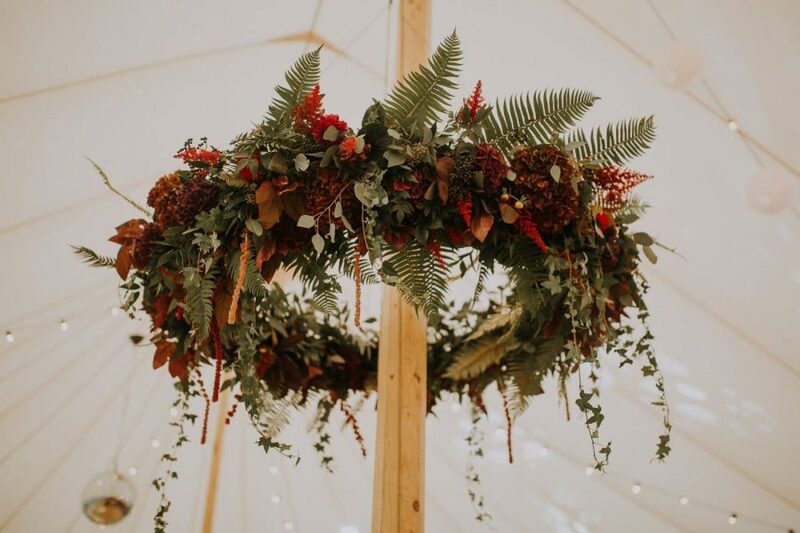 If you are having a marquee wedding you may want to add some floral detail at the entrance or to swags of fabric around the edge of your marquee. The can come in a variety of shapes and sizes prices start from £15. The isle is a big part of your wedding day, the walk to stand with your life partner, all eyes are on you and how you have chosen to frame your walk with floral arrangements. As ever there are many ways in which you can choose to do this. From small hand ties hung on the pews to hurricane vases with candles and petals. Prices start from £12.50. A statement piece hung at your wedding venue with a range of flowers and foliage. Some of the items we have completed to date include; circle above a bar – around a marquee pole, flowers and foliage handing from a ladder in the centre of the marque and above the top table, floral and willow Photo Booth, full and part garden arch. All items are priced individually.